been baking and thinking about lera auerbach's idea that "Music is the art of sound in time...one could say that music is the architecture of time and it only exists in time." the smallest wee-ling in the family had his first field trip today to the transit museum. 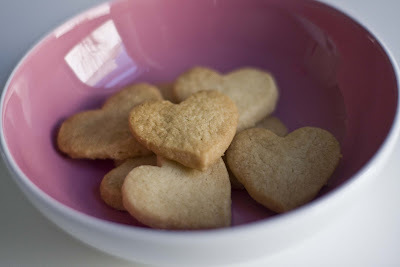 he'll come home to heart-shaped shortbread cookies. peering into that little delicious, cracked, hand-held mirror of vintage ephemera -- did they know more then? less?